Truck drivers who talk on cell phones or communicate by texting pose a serious safety risk on our roads and highways. Serious accidents caused by texting have increased drastically with the growing popularity of handheld electronic devices like cell phones and smartphones. The federal Department of Transportation reports that annually more than 5,000 traffic fatalities and nearly 450,000 injuries are blamed on traffic accidents caused by distracted drivers, including driving and texting accidents. 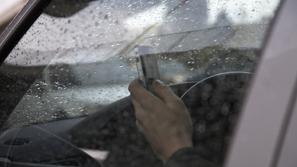 Recent studies show that 16 percent of fatal crashes are blamed on driver distraction. The Law Offices of Frank L. Branson has assembled one of the most respected teams of lawyers in the Southwest. The firm has successfully represented individuals and families who have suffered serious injuries caused by truck accidents. We aggressively fight for our clients to make sure they are fairly compensated for their current and future needs. To learn more about our experience in truck driver cell phone and texting accidents, we invite you to contact the firm here.